I am part of the creation and developer team of a new production of YCAM (Yamaguchi Center for Arts and Media) called “Israel & イスラエル“. This is a collaboration started in 2017 between the internationally renowned flamenco dancer Israel Galvan, YCAM InterLab, and Qosmo. 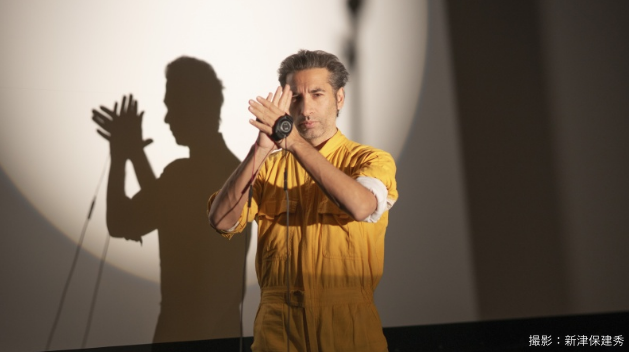 The result is a one-hour performance where the great zapateado dancing style of Israel Galvan fuses together with cutting-edge interactive technologies. Most importantly, Israel Galvan will dance with another Israel, an AI agent that has learned his style and will improvise with him. This AI will manifest itself in a variety of robotic systems, that gives to the whole performance a very physical impact. I developed a series of motion detection devices that process the movements produced by the dancer body, like by his arms, feet, hands and head. Different motions control different sound models in real-time. 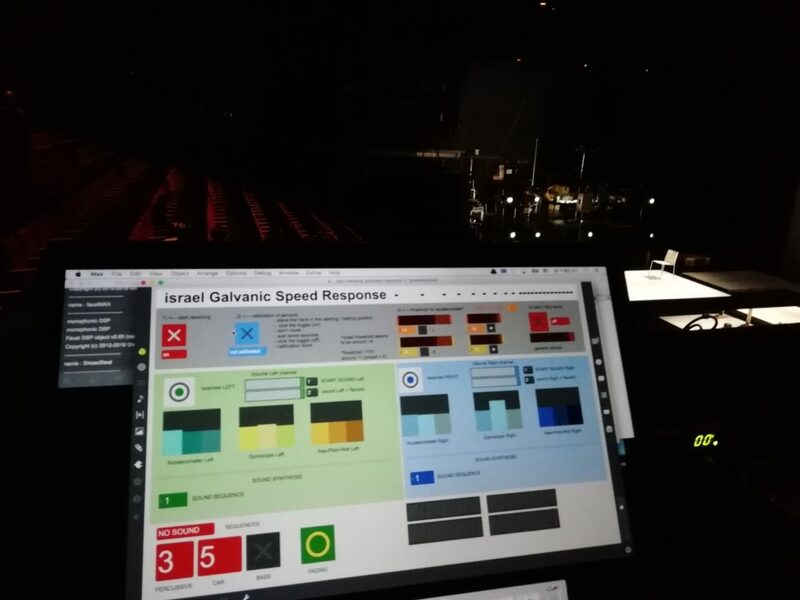 The data processing and the sound synthesis are done inside a new custom software called iGSR (israel Galvanic Speed Response). One of the sound+motion processing unit developed for the piece. The devices have been developed together with Richi Owaki (YCAM InterLab).